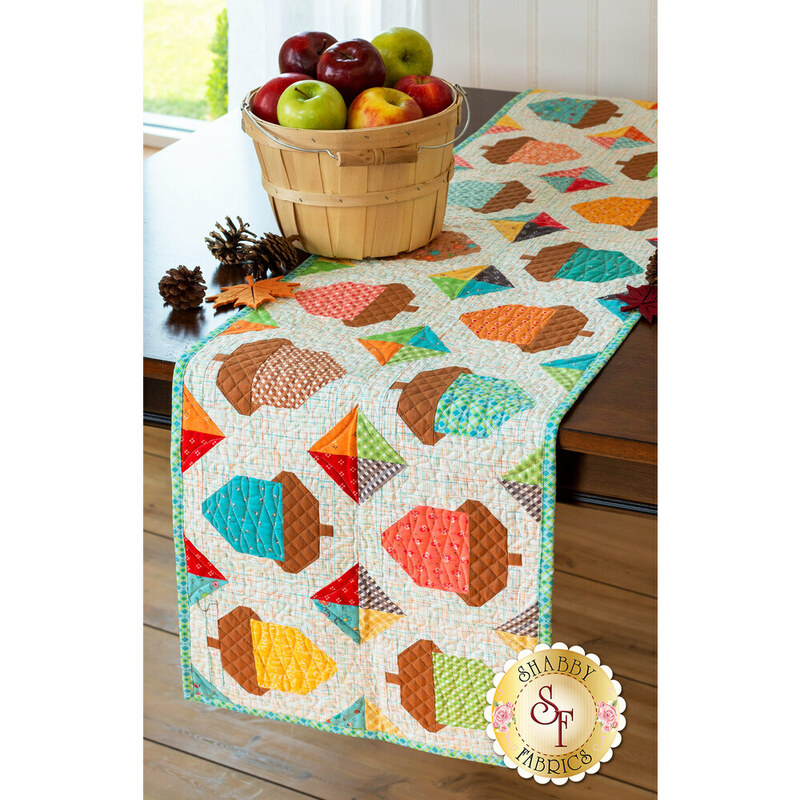 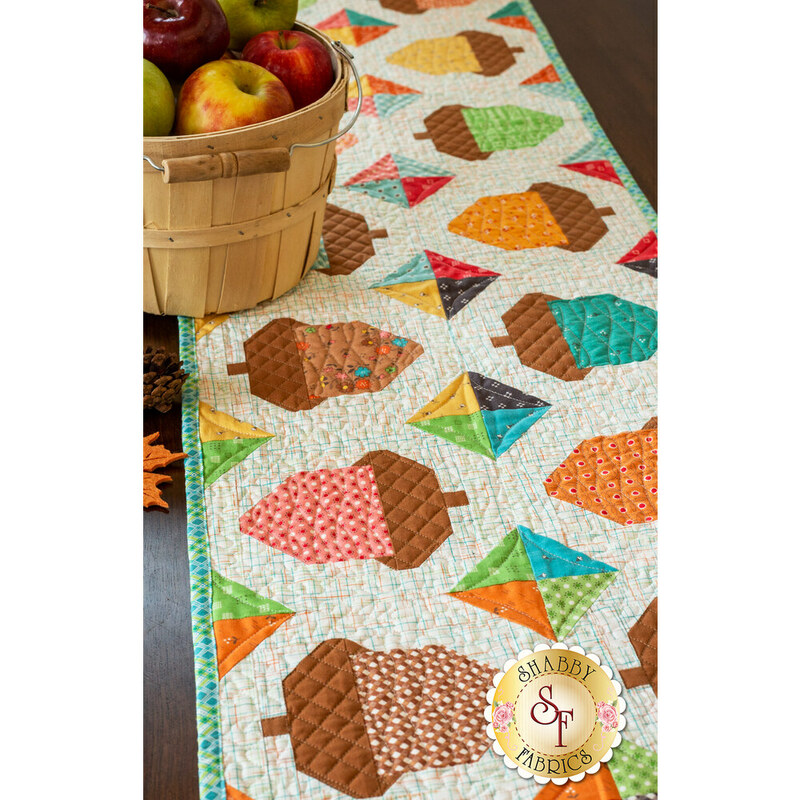 Celebrate Fall with this Acorn Table Runner designed by Lori Holt of Bee in my Bonnet. 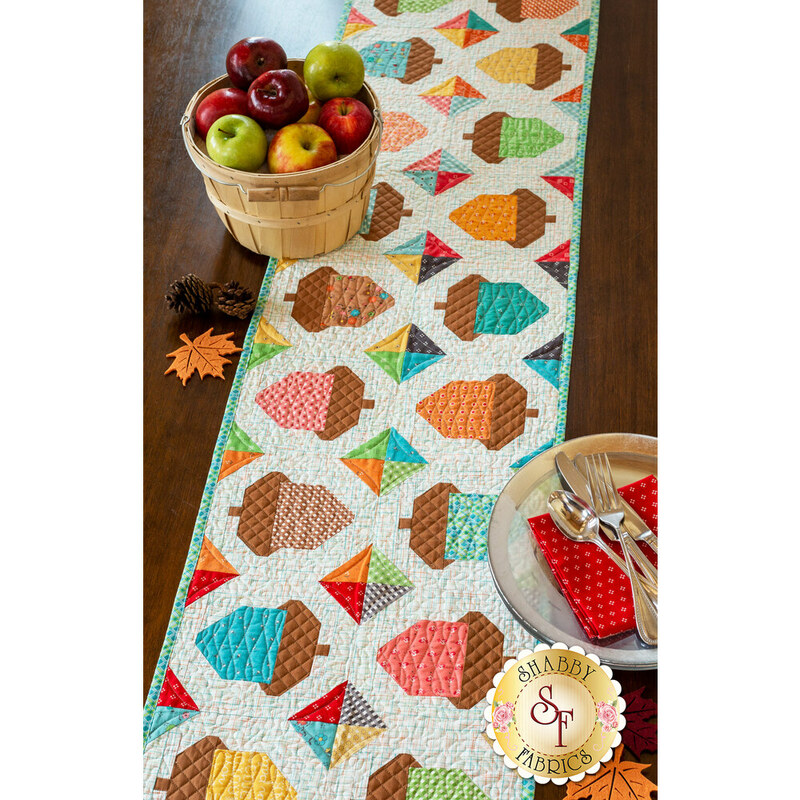 This playful table runner uses the Autumn Love Collection by Lori Holt, and brings light and bright Fall colors to your dining area. 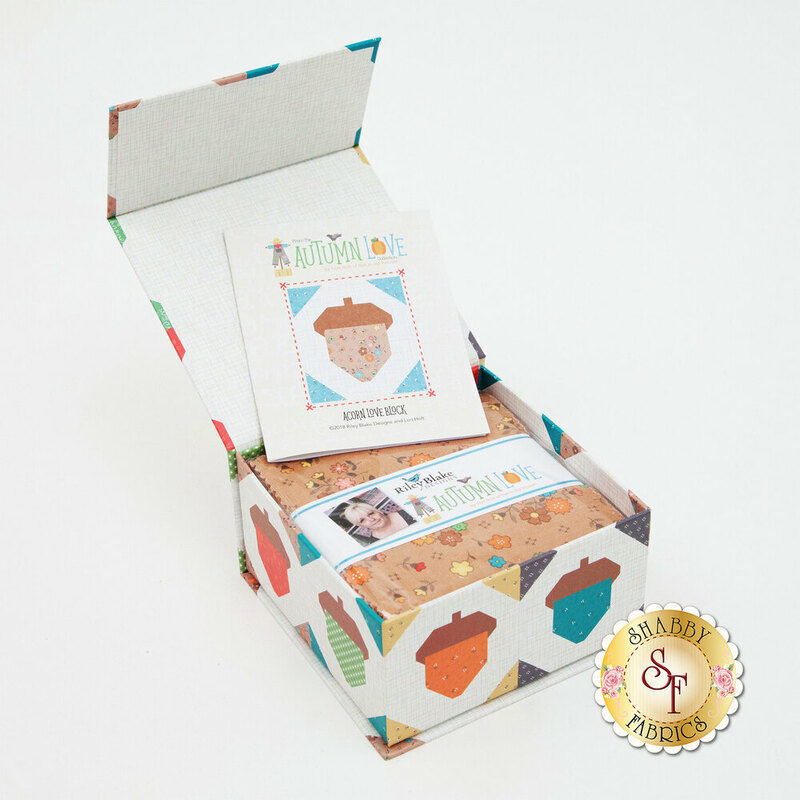 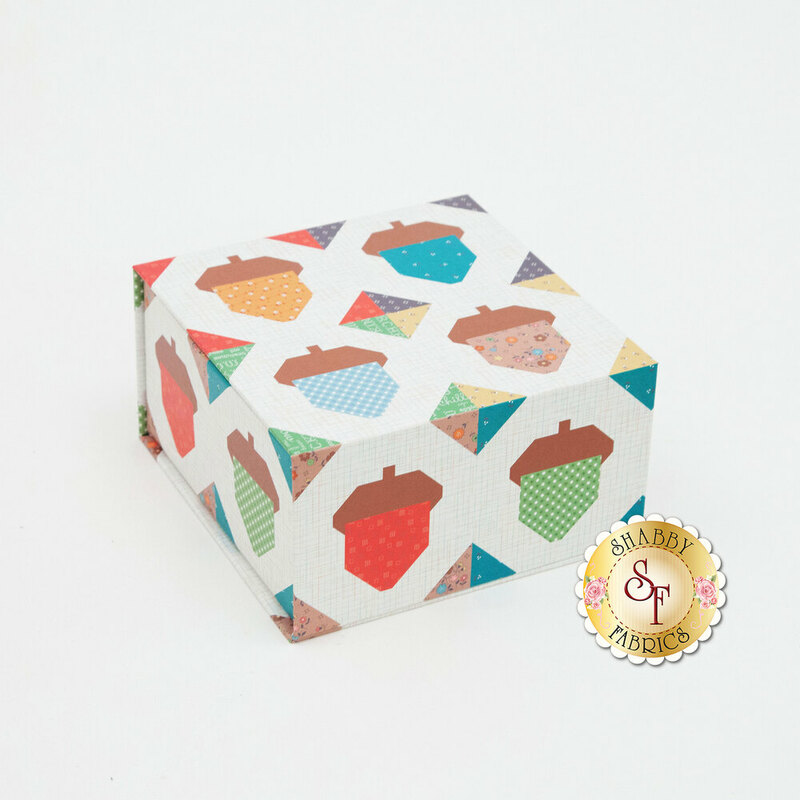 This is a unique and versatile design that can be displayed anywhere, PLUS, the sturdy acorn box is a sweet keepsake you can use to organize notions in your sewing room! 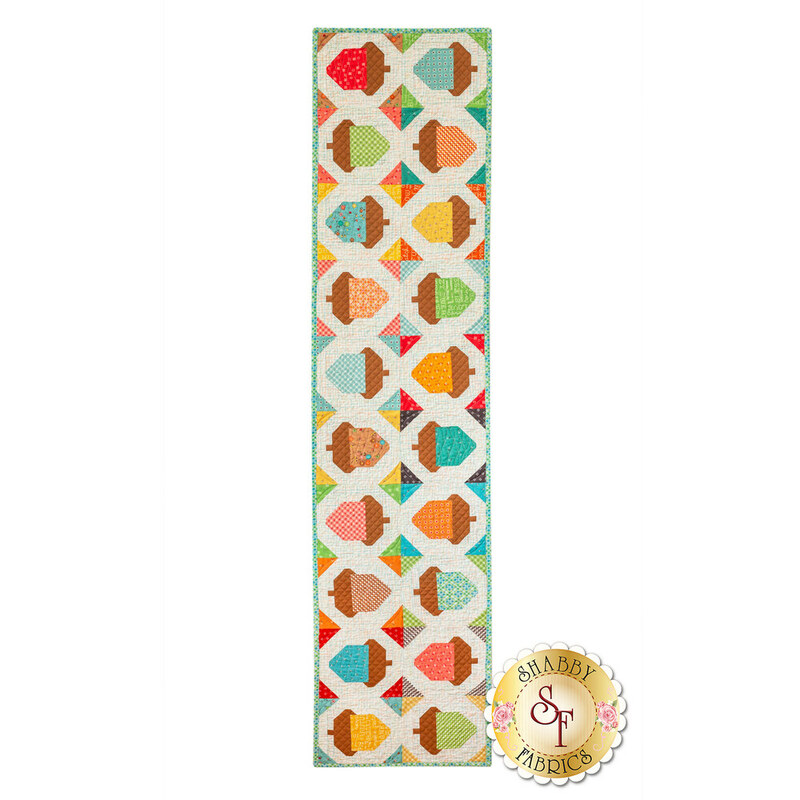 Table Runner measures approximately 15" x 65". 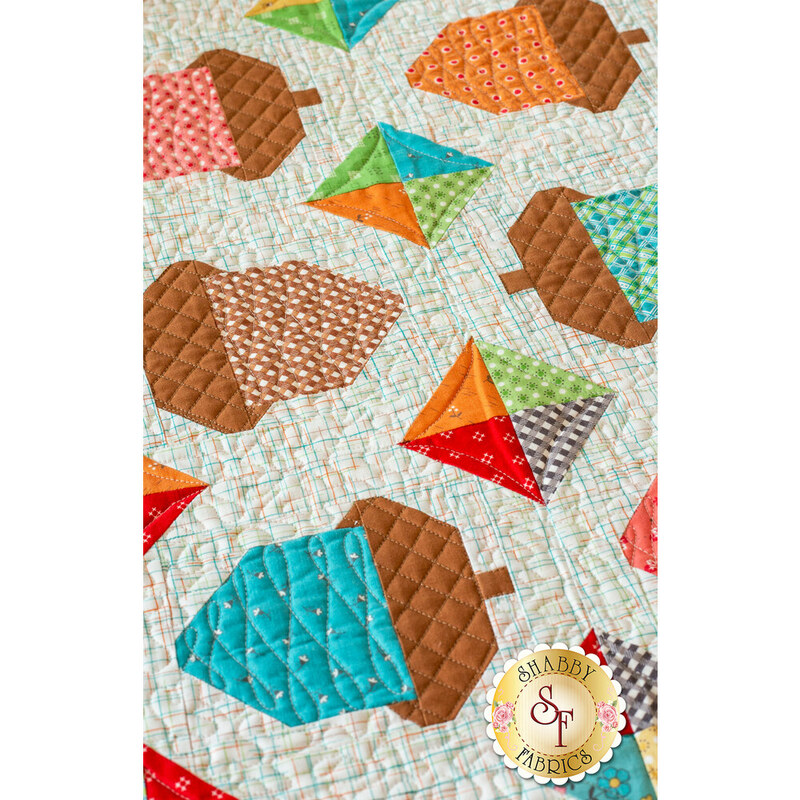 Pattern - with TWO finishing options!